You can always reach another level. I help successful executives and entrepreneurs burn fat, build muscle, and raise their level of performance through intelligent programming, personalized attention, and a focus on every aspect of life that drives success - from sleep to nutrition. 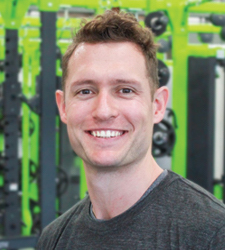 BJ holds a Bachelor’s Degree in Health and Human Sciences and is the Founder of Ward Fitness Systems, LLC. He has been in the trenches working one-on-one with clients for the past seven years and specializes in working with executives and entrepreneurs. He believes you should enjoy this life you’ve worked hard for. Have some scotch and a great cigar. See the world. Get dinner with friends –and if you’re ever in Kansas City let him know, he’d love to join your table.